LEICESTER were able to take plenty of positives from a 40-50 defeat to Premiership Ipswich at the Paul Chapman & Sons Arena on Saturday. 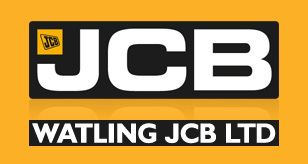 The Watling JCB Lions always kept the top-flight side within range in their season-opening team event, although they had no answer to a sensational Chris Harris who marked his Witches debut with a 15-point maximum. But there were a number of bright spots for the hosts, for whom Josh Bates continued his terrific comeback from long-term injury with a 13-point haul – and smashed the track record in the process. And lower down the order, youngster Jack Thomas took the scalp of French World Pairs star David Bellego in a performance which marked out his potential for the future. The Witches’ strength-in-depth as a top-league club was always going to make things tough for the Lions, and they provided ten of the fifteen race winners. Harris took five of those, the first two of them from the gate, but he then reeled off a succession of passes late in the meeting to complete his full house. The former British Champion switched inside Richie Worrall to win Heat 11, scraped the fence to round Lions skipper Scott Nicholls in Heat 13, and then found a remarkable burst to go from third to first in Heat 15 when Nicholls was disputing the lead with Richard Lawson. That also underlined the fine condition of the track, which was shown in Heat 3 when Bates smashed nearly half-a-second off Robert Lambert’s record to lower the mark to 59.94. With Connor Mountain and Ryan Douglas both suffering unlucky early falls, and Douglas breaking the tapes in Heat 5, the Witches went into an early six-point lead before Bates appeared in the next as a tactical substitute, and with Nicholls passing Jake Allen the Lions had the first 5-1 of the evening. There was drama in Heat 7, initially with a first-bend clash between Lawson and Worrall leading to an exchange of views in the pits, and then in the re-run the Witches held a 5-1 until Cameron Heeps fell on the last lap and was clattered by team-mate Lawson. The visitors did complete a 5-1 in Heat 8 but Nicholls’ win in Heat 10 along with a good third from Ellis Perks enabled the Lions to cut the gap to four points. 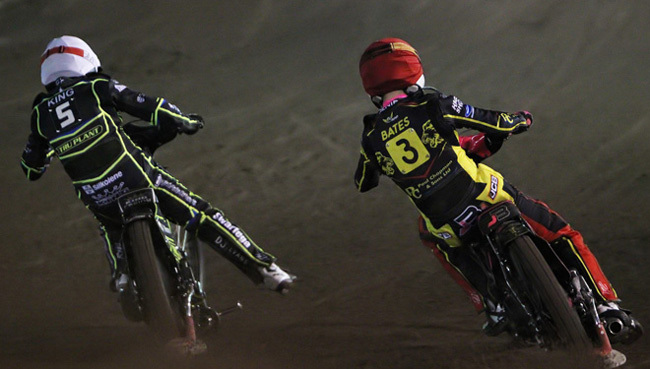 However, with Harris in charge of the closing stages the Witches were able to ease clear, with Lawson defeating Bates in Heat 12 and then making a flyer of a start in the last race. But there was some consolation for Leicester with Douglas gaining reward after a tough night by holding off Heeps to win Heat 14. Lions boss Stewart Dickson said: “One or two of the boys had unfortunate nights, but I think they all had a race which meant they could take something out of the meeting. “It was tough as we knew it was going to be against a Premiership club, but there were signs of promise from us. “Chris Harris was fantastic for them, he was untouchable, and we know Bomber has nights like that, but I was a little disappointed to lose a 5-1 in Heat 15 because I felt the rider in white (Lawson) jumped it, and maybe on another night the referee would have called it back. “Richie needs to find his set-up and Ryan probably had the unluckiest night, but it was very positive to see him finish with a win – and Jack took a couple of scalps, and he won’t come up against a Jake Allen every week. “I’ve never really seen Josh ride around here before, and he rides it different to anyone else, but it works! We decided not to put him in Heat 15, enough was enough for him, but he’ll go into next weekend with lots of confidence which is the key for him. “There was a lot of good racing and passing, riders going hammer and tongs, so it’s definitely something to work on, and of course there was a track record as well. The return fixture takes place at Foxhall on Thursday, before the main business of the season commences with the visit of Redcar in the Championship Shield next Saturday (March 30). LEICESTER 40: Josh Bates 13, Scott Nicholls 10+1, Richie Worrall 6, Jack Thomas 5+2, Ryan Douglas 3, Ellis Perks 2+1, Connor Mountain 1. IPSWICH 50: Chris Harris 15, Richard Lawson 9+2, Danny King 6+1, Cameron Heeps 6, Jake Allen 6, Drew Kemp 4+1, David Bellego 4.